While it may be tempting to hop into bed without taking your makeup off or washing your face at the end of a long day, keep in mind that dirt, oil, and pollutants build up on your skin throughout the day. 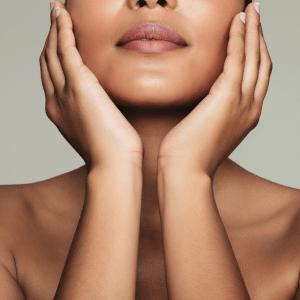 In order for your skin to glow, your face needs a consistent skin care regimen. Try to be gentle with your skin and use a chemical-free non-drying cleanser, along with a gentle exfoliant. Use them to wash your face twice a day, both morning and night, to ensure you start each day with glowing skin. Our skin suffers tons of damage due to environmental factors such as sun exposure. The sun’s rays weaken the fibers needed to keep our skin tight and smooth. This means that sunscreen is your new best friend when it comes to slowing down the aging process and making your skin radiant. Incorporate a moisturizer that has at least SPF 30 into your morning routine in order to protect your skin from both UVB and UVA rays. If you are very active or play sports, then choose a waterproof sunscreen that will stay on even when you are sweating. If you are already dealing with sun damage, schedule an appointment with Dr. Adam G. Tattelbaum to go over which non-surgical procedures could work for you. It may feel absolutely ridiculous at the time, but a great way to make your skin glow is to massage your face. This will help boost blood flow and stimulate collagen production, which will, in turn, give you a healthy and natural glow. Choose a natural cleansing oil to take away all the dirt from your skin. Using upward strokes, start at your forehead and work your way to your cheeks and jaw. Do this at least two to three times a week and watch how your skin magically begins to glow. While it may be tempting to indulge in an extended hot, steamy shower, this can actually dry your skin out and take your vibrancy along with it. Cool and quick showers may not sound as appealing, but you may have a change of heart once you see your face radiating from a mile away. If you can’t quit the long showers, invest in a quality face oil that will protect your skin from drying out. Use this every time you turn up the heat, and your skin will be glowing in no time. 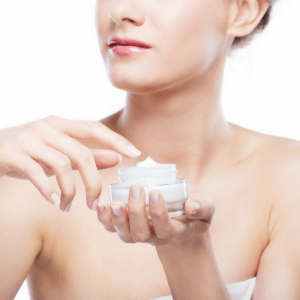 If you want your skin to have the kind of glow that illuminates from within, then moisturizer is your best friend. Choose an all-natural formula to put on at night, along with one that has SPF 30 in it to put on in the mornings, and get ready for the glowing skin you always dreamed of. Do you want to press fast forward and see your skin glowing a little bit faster? Schedule a consultation with a Maryland plastic surgeon to go over your options for beautiful skin.